Have you been searching for a dynamic career path? Perhaps you are interested in working in a new city. Maybe you would even like to work internationally. Katalyst Data Management® offers a range of data management job opportunities for all experience levels and backgrounds. 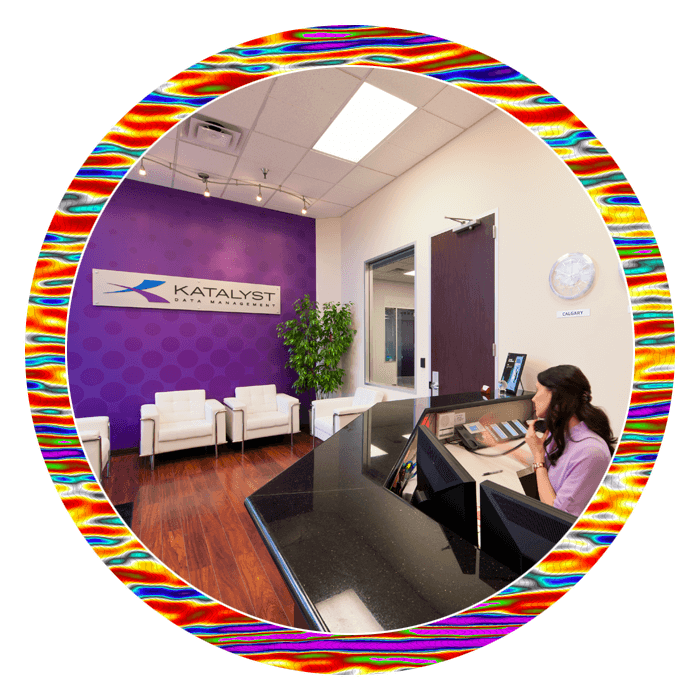 With multiple international locations, Katalyst is always searching for new talent to join our team. Review this page for our current available positions at one of our global locations. 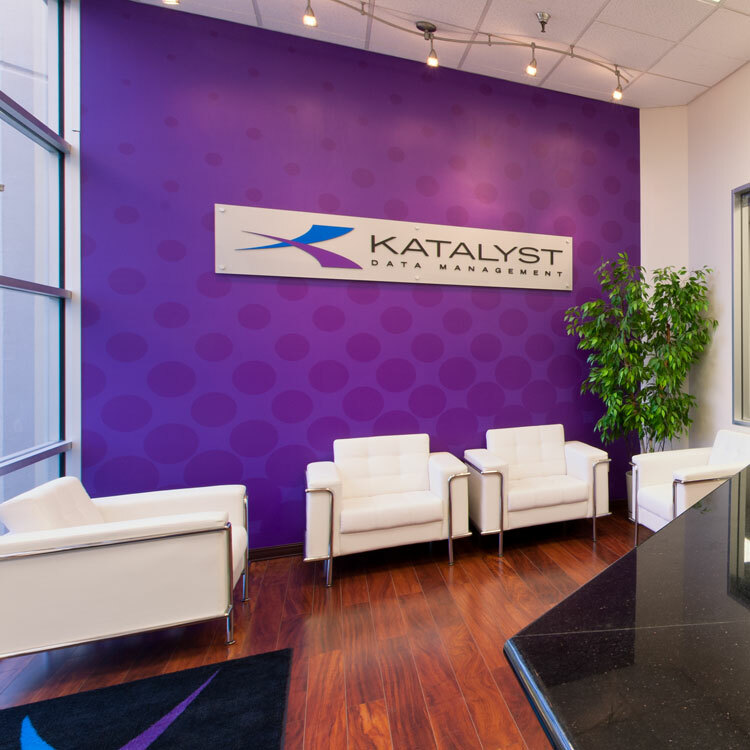 The opportunities at Katalyst are growing as quickly as our company, so be sure to follow us on LinkedIn or Twitter to receive notifications for new data management job opportunities as they become available. Katalyst offers a range of data management job opportunities for all experience levels and backgrounds. Our Houston office is currently seeking an Indexing Technician for a full-time position. The Indexing Technician is responsible for the capturing of metadata of our client’s subsurface data while meeting client requirements and specifications. For details or to apply, click here. Our Houston office is currently seeking a Scanning Technician for a full-time position. The Scanning Technician is responsible for the scanning of physical records to digital formats provided by clients for reproduction or archival purposes. For details or to apply, click here. Our Houston office is currently seeking a Computer Operator for a full-time position during the second or third shift of the work day. The Computer Operator is responsible for the accurate transcription of E&P data from various media types to digital storage, as well as the outputting of digital data to other media types. For details or to apply, click here. Our Houston office is currently seeking a Logistics Technician for a full-time position during the second and/or third shifts of the work day. The Logistics Technician is responsible for providing warehouse support with a variety of tasks. For details or to apply, click here. Our Calgary office is currently seeking a Software Developer for a full-time position. The Software Developer brings a strong, proven set of Full Stack Software Development skills to solve complex problems requiring knowledge of programming languages, technologies, tools and techniques. For details or to apply, click here. Our Calgary office is currently seeking a Senior Software Developer for a full-time position. The Senior Software Developer will provide support to international operations through the development of new products and the enhancement and maintenance of existing products. For details or to apply, click here. Our Sittingbourne office in the UK is currently seeking a Business Development Manager for a full-time position. The Business Development Manager is responsible for promoting and selling data management solutions to E&P companies. For details or to apply, click here. Our Sittingbourne office in the UK is currently seeking a Quality Control Manager for a full-time position. The Quality Control Manager is responsible for verifying the operational process to the extent the data and information are produced as per the contractual requirements. For details or to apply, click here. Our Kuala Lumpur office is currently seeking a System Administrator for a full time position. The System Administrator works under the technical supervision of the IT Manager, Asia Pacific to ensure that company IT systems and computers are able to support the workflow needs of our clients. For details or to apply, click here. Our Kuala Lumpur office is currently seeking a Software Developer with a strong, proven set of Full Stack Software Development skills to solve complex problems requiring knowledge of programming languages, technologies, tools and techniques. For details or to apply, click here. Our Kuala Lumpur office is currently seeking a Software QA Technician to provide support to international operations through performing functional testing, GUI testing, tracking defects, as well as troubleshooting issues and providing support to internal and external users. For details or to apply, click here. Our Kuala Lumpur office is currently seeking a Senior Software Developer to provide support to international operations through the development of new products and the enhancement and maintenance of existing products. For details or to apply, click here. Our Kuala Lumpur office is currently seeking a Supervisor of Software Development to oversee and coordinate the development staff, resources and processes required for timely delivery of new software products and the enhancement and maintenance of existing products. For details or to apply, click here.